Solar controller has specifically designed to meet the needs of the rural electrification market. The low cost resulted from using the latest electronic technology and high volume manufacturing. 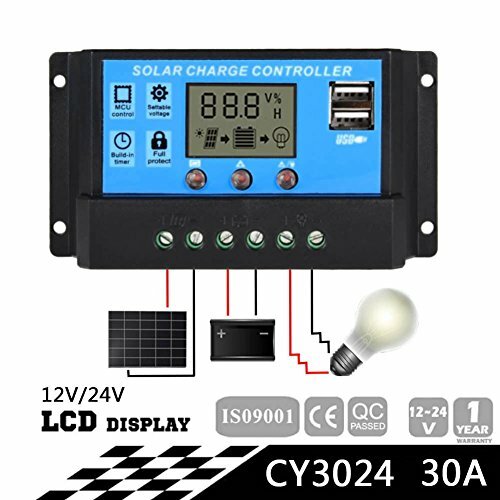 We are reputable trader of solar charge controllers,power inverters,and solar power systems. All our products are designed for high quality and high reliability. The controller has a low failure rate and will last a long time. Various protection: Battery over temperature protectio; Battery low voltage protection ; Battery reverses polarity protection; Overload & short circuit protection. The controller has a low failure rate and will last a long time and protected with moisture-tight coating, minimizing damage from humidity and from nesting insects. Visual LCD graphic symbol, easy to set up and operate. Suitable for home, industrial, commercial, boat, car etc. US stock, get it faster, 3-10 days delivery. If you have any questions about this product by Sun YOBA, contact us by completing and submitting the form below. If you are looking for a specif part number, please include it with your message.